Ganoderma Lucidum Spore Oil is the oil inside Ganoderma lucidum spore, a kind of lipidic biologically active substance that acts as the key pharmacologically effective ingredient-the real pith of Ganoderma lucidum. Via the advanced CO2 super-critical extraction technology, Ganoderma Lucidum Spore Oil is extracted directly from cell wall-broken Ganoderma lucidum spore. Triterpene lucidenic acids is an active substance of ganoderma lucidum spore oil, it has been reported to be associated with suppressed motility, invasion and metastasis of several types of cancers. 1 capsule spore oil (0.35g) is similar to 7g cell-wall broken spore powder. Character: Little yellow fine oil, 300mg per softgel and 500mg per softgel. 3.Improve life quality, prolong life and relieve pain. 6.Slow aging, beautify skin, good for beauty care and skin disease prevention. 1.Purity on raw materials ,adopting highly broken log-cultivated spore oil extracted directly from Ganoderma lucidum spore powder, additives-free, ensure the premium quality. 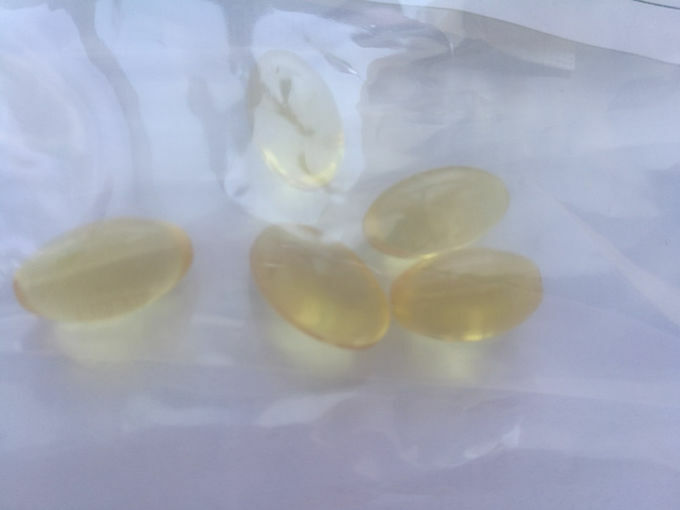 2.Advanced technology: Due to advanced CO2 supercritical extraction technology and concentration of this product (resulting in reduced quantity intake) and the texture of the softgel, it is more convenient to be taken and absorbed faster. 3.It is 20-40times more concentrated than the Ganoderma Lucidum Spore Capsule. 5. the product contains triterpene Ganoderma lucidum acid and unsaturated fatty acid.